Your job resume title is the first one that captures or drives away the attention of your potential employer because it is the first section that he sees in your application. According to research conducted by TheLadders.com, title is the second thing recruiters focus on while looking through your resume. Thus, it is your first shot to making a good or bad impression. The results are all up to you. If you want to make an outstanding job resume title, check out the following tips to apply and follow in next resume for submission. Job Title Resume: How Does It Work? Right, now there is a dramatic increase among people looking for jobs, making the competition fiercer and much harder for those who apply for the same position. You can just imagine the steep competition that you are going to face out there. To do well and increase your chances of being invited for an interview, here are some tips that you can make use of in making your resume title stand out among the rest. Your job title for resume should include keyword to make them strong and to show that you are indeed knowledgeable and skilled in the position you are applying for. As you see, job applications have changed and shifted from offline to online applications. Using keywords is extremely advisable especially if you are posting your resume online. To do well and add the right keywords, you should read and understand the job posting carefully so that you can tailor your resume to the job requirements of the employer. Using keywords also make your resume and its job title better and searchable. You should use power or strong words. Just like using keywords in the job title for resume, you should also think and consider of using power phrases and terms in your resume. They will help you show off your abilities and capabilities to the potential employer. Depending on your job industry, make sure to use of strong words that will best describe the things you can do and offer to the job position. Examples include implemented, initiated, delivered, executed, managed, sold and increased. 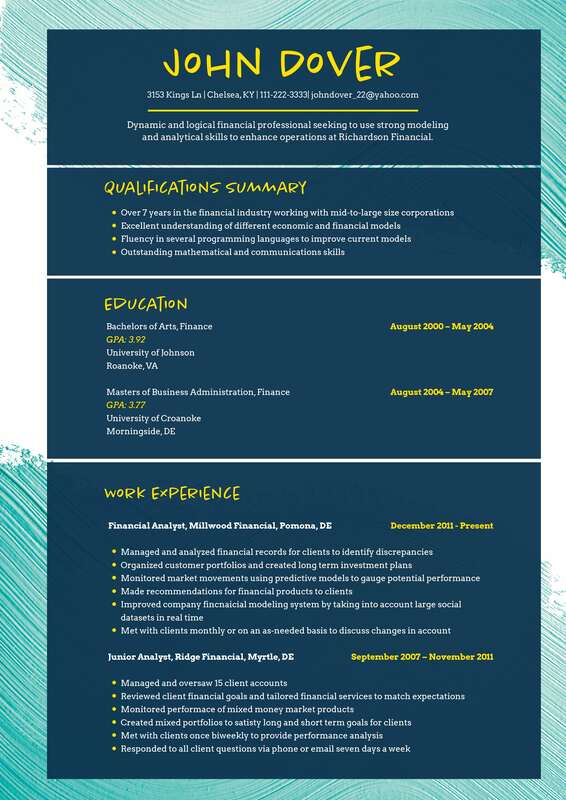 Choose a simple design for resume. You should direct the attention of the potential employer into your resume and not on its design. Do not make your resume ugly with bulky texts and paragraphs. Start simplifying the design of your resume with professional fonts. Make use of social networking sites. Another way of making your application sellable and marketable, make use of social networking sites to help you in networking with the right people. Include a profile in your job title resume to help your resume stand out, but make sure it is tailored based on the job application. Job Title Resume: Make It Really Good for that Perfect Impression! If you want to increase your chances of getting an invitation for an interview, make sure to follow the above tips that will make your resume title for experienced stand out from the crowd. Finally, do not forget editing and proofreading your resume for that strong first impression with a flawless job resume title and content.